Hundreds of children turned out on Friday morning for Parkes’ annual Reading Day. This year’s theme was LET’S GET REaDICULOUS and REaD REaDICULOUSLY. Young and old alike were dressed REaDICULOUSLY for a jam-packed program of activities. 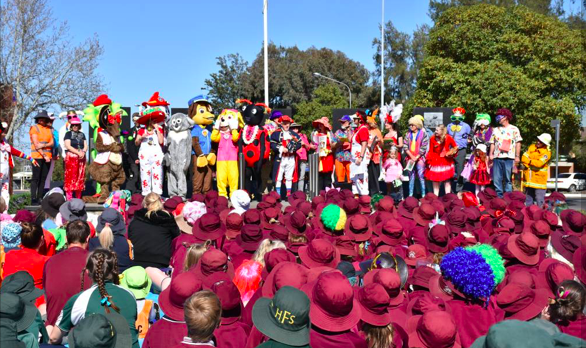 Politicians and Principals dressed readiculously and read in readiculous places down the main street of Parkes, to the delight of children and the whole community.